I’ll admit it. I love a good, modern day fairy tale. 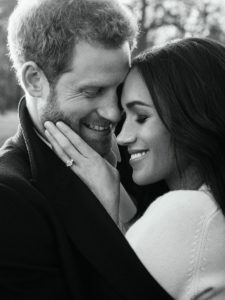 The upcoming wedding of Prince Harry and Meghan Markle definitely meets the definition of a modern day fairy tale because this royal-bride-to-be does not fit the description of the woman many thought Harry would choose for his bride. It’s easy to focus on Ms. Markle’s beauty, clothing, and other accoutrements and think that is how she “bagged” her prince. But if you’re a royal prince born into the House of Windsor, access to beautiful, elegant women is not a big deal. Certainly Harry is enchanted by Ms. Markle’s charms, but I believe that her embodiment of modern femininity is what graduated the relationship from “great date” to great love. If you’re looking to inspire a great love, here are some tips that will help you on your journey. Tip No 1: In love, you get more than one chance at happiness. If you’ve spent a few decades on the planet, more than likely you have a past. A past filled with success, failure, regret, joy and heartbreak. Maybe you miss a great love who is no longer with you. Maybe you feel sad that you’ve yet to experience a great love. Apparently, one of the most “scandalous” aspects of Meghan Markle’s “past” is that she is a divorcée. She married her first husband when she was 29 and for whatever reason, that relationship came to end. Now at the age of 36, she is preparing to marry her Beloved Harry. Meghan didn’t get one shot at happiness and neither do you. 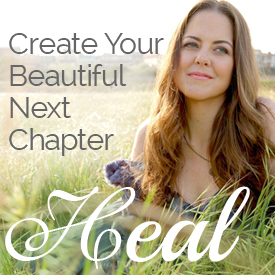 The key is not looking at your past as a predictor of your future. 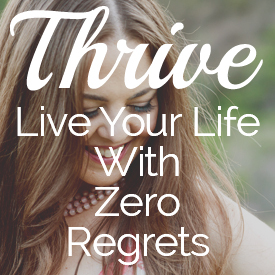 Life has so much goodness in store for you and it’s not too late to inspire a great love. Tip No. 2: Know what qualities matter most to you in a life partner — and don’t get distracted by shiny objects. Talk about having your priorities in order. 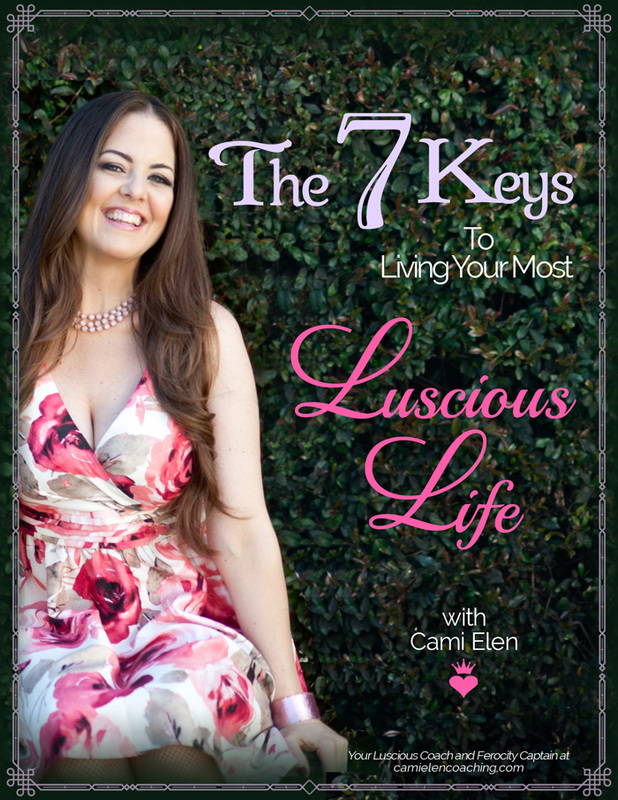 In my Love Life Makeover course, I ask my students to create a “Kings List” (or “Queens List” if your beloved is female). This is a list of non-negotiable qualities you must have in a long-term partner. Unlike other wishlists you may have written (he must be 6 feet tall, have most of his hair, make a six-figure income…), these are the qualities that will determine how happy you are in your relationship. Qualities like kindness, generosity, and dependability. Tip No. 3: Do not let the shadow figures in your life spoil your love journey. Alongside the many articles about Meghan’s designer clothes are other articles detailing the crazy things some of her extended family members are saying to the press. It’s pretty embarrassing stuff and clearly people are taking advantage of a biological tie for financial gain. I call these distractions “shadow figures” and we all have them. Maybe they are real people in your life. Maybe they are just dissonant voices inside your head that take the form of an inner critic or harsh judge telling you that you are not good enough, attractive enough, or deserving of a great love. Just like Meghan’s outspoken relatives, these shadow figures have as much power as you give them. If the shadow is in your head, ignoring it is not the way forward. Attend to this frightened part of you with care, compassion and empathy. Gently but firmly take a stand for the love you desire to create. Seek help from a wise and loving friend and ask them to reflect back to you what’s really true about your lovability, prospects and value. If the collective peanut gallery of “ick” is coming from an actual individual, begin reducing your exposure to him or her, and set good boundaries about how (and if) you will interact with them in the future. Tip No. 4: Modern Princes Aren’t Interested in Saving Damsels. Besides being a divorcée (shock! horror!) Meghan’s past includes a successful career as an actor. She does not come from a wealthy background, and the material successes she enjoyed before meeting Harry were earned by working for them. She had a fully realized and fulfilled life before she met him and wasn’t waiting to be rescued by anyone. Instead of being rescued by Harry, Meghan is bringing out the best in him, and partnering with him to create something new. This beautiful gift of creativity happens whenever we inspire a great love! I teach my clients that the quality of love and happiness they experience in relationship is directly correlated to the quality of love and happiness they experience before relationship. So if you’re secretly fantasizing that someone else is coming along to make you feel happy, loved and wanted… well, this is a fairy tale I cannot get behind. Because beloved you’re in for a rude awakening. And I want you to awaken gently, to birdsong, and to the fact that you are responsible for creating the love, connection and fulfillment that makes your fairy tales come true. There is a misconception that being feminine means being weak, always deferring to a man. 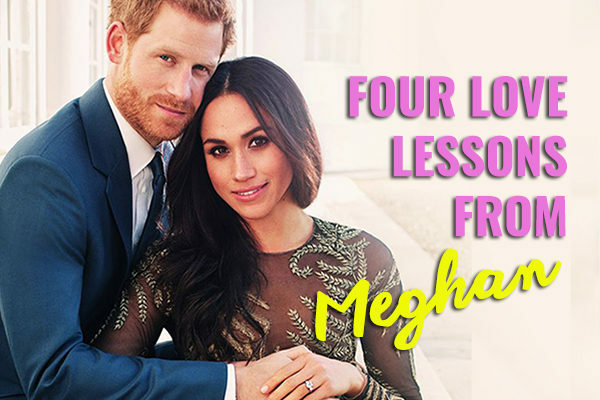 But in their first appearance together as couple, it was very apparent that Meghan honored her worth and value, and was able to share her opinions equally alongside her fiancé. My definition of modern femininity is a woman who is fully expressed, present and in love… with her life! She is someone who takes action and does not wait for prince charming to arrive before making everything better.